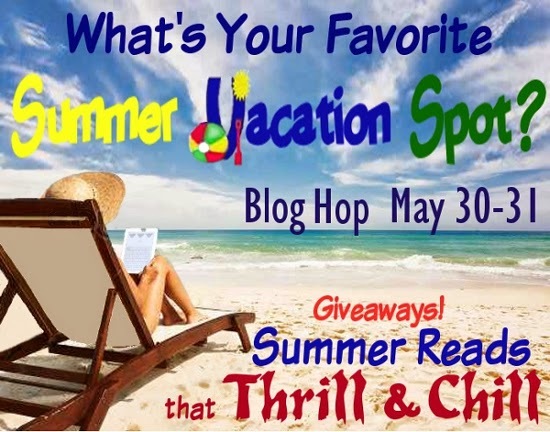 As a springboard into summer, some of us are banding together and hopping between favorite vacation spots identified on participating blogs. Join us! The wonderful co-hosts below also have special giveaways on their blogs, and who doesn’t like free stuff–especially books? For my favorite, I cracked open my picture folder and sifted through the hundreds of photos I have from my favorite vacation ever. It was 2010, and I was finishing up my Master’s degree program with one final class–the best class ever. The class involved one thing: a trip to Peru, Chile and Easter Island. Seriously. 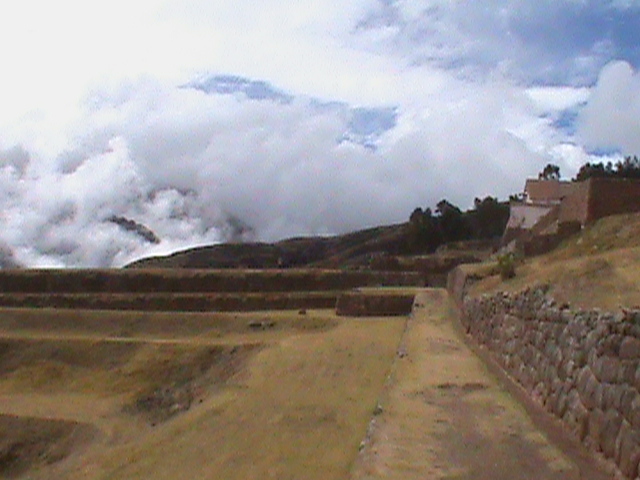 I loved the trip–especially Peru. Easter Island was a once-in-a-lifetime trip, but it’s an island. Once you’ve driven from end to end and everywhere in between, you’ve seen it. A women’s collective organization showed us how they dye and weave the textiles they make from alpaca wool. 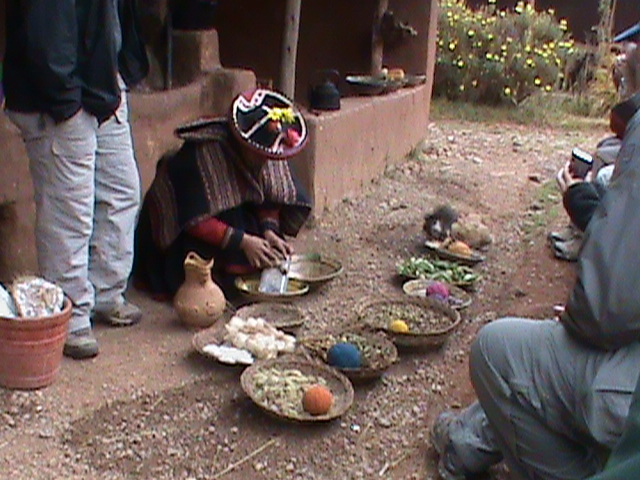 Afterwards, they cooked guinea pigs for us. They’re considered a delicacy in Peru. 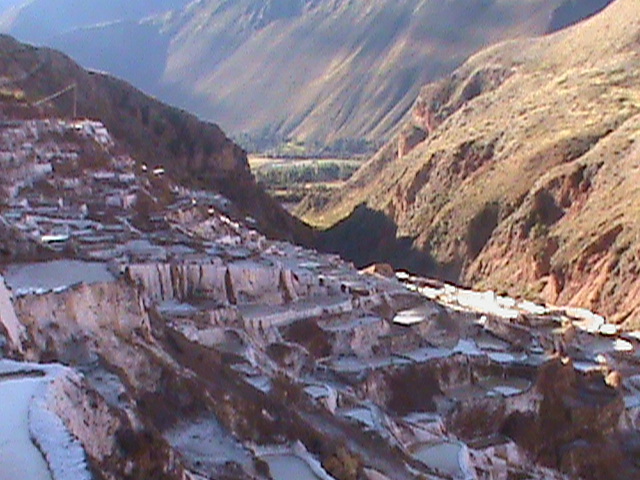 The Maras Salt Mines cover an entire mountainside and make up the income for dozens of families. Individual pools of water and salt that make the hillside look snow-covered. We hiked in along a beautiful path and then enjoyed the subsequent hike out through a valley. This picture cannot even begin to do justice to the view. Terraces everywhere. 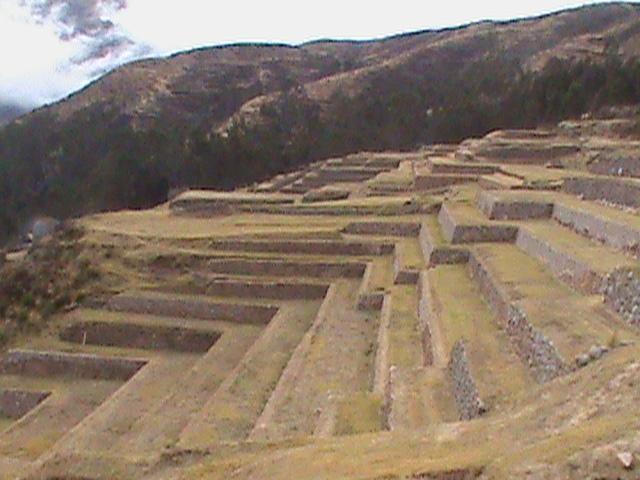 The ancient Incas made use of terraces on mountainside after mountainside. We hiked a number of them. Beautiful sites to behold and great for the calves. 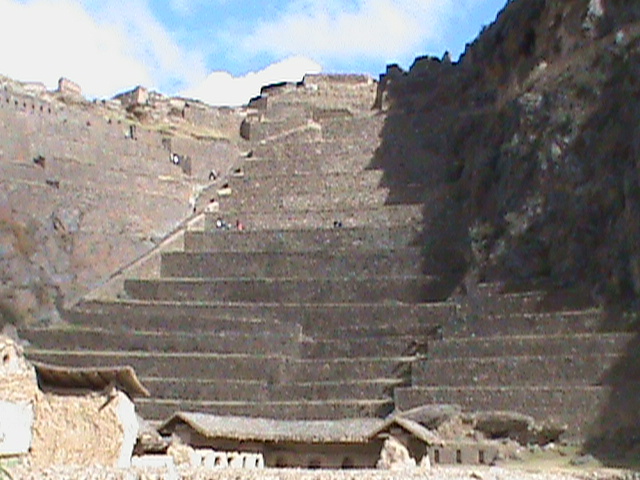 I may or may not have been lapped by an older Peruvian women carrying a baby coming down the side of one of these. 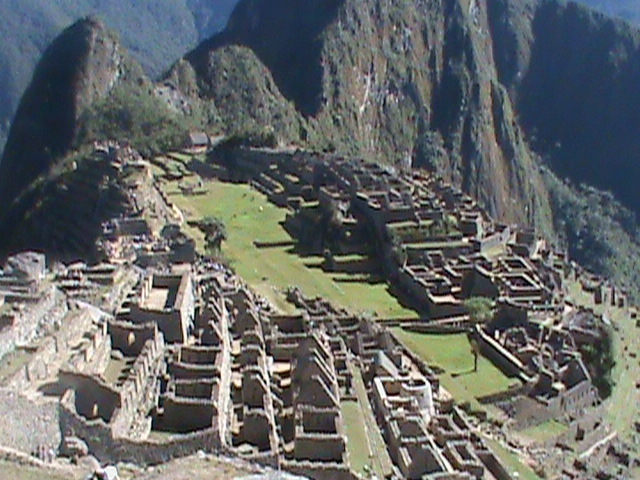 And Machu Picchu needs no explanation. AMAZING! Wonderful pictures. I’d love to go. Such amazing history and landscapes. If you ever get the chance, take it. The pictures pale to the actual sites. If you get the chance, do it. Worth every penny. As for food, there’s a lot of non-meat items to choose from. 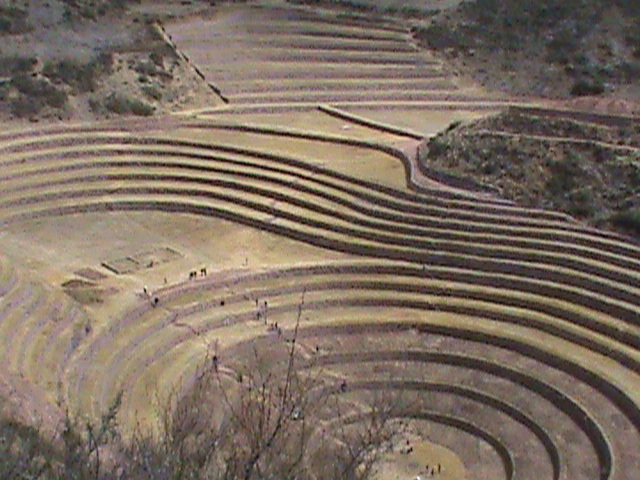 Peru actually has an extraordinarily high variety of potatoes farmed locally. If I remember correctly, it’s pushing over two-hundred types. I would love to go to Peru! Love the photos, and goodness what a trip. Can only imagine the beauty. Thanks for sharing! Thanks! It was fantastic. I enjoyed yours as well, though. The pictures were so cool! OMG you’re making me pack my bags. Seriously, Machu Picchu is on my bucket list. Definitely go if you get the chance. So amazing! What an amazing travel adventure. 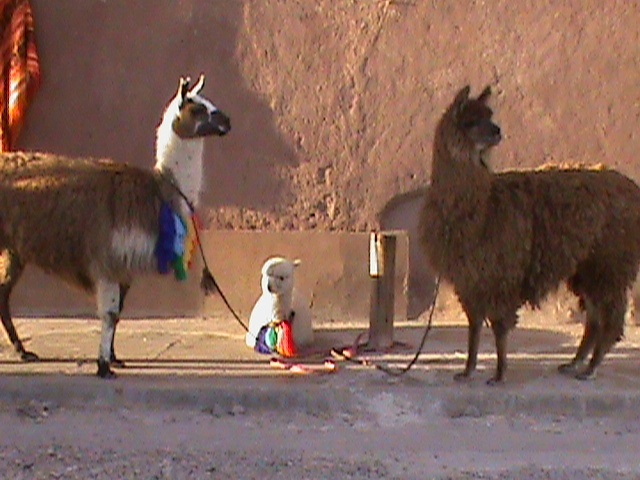 Your photos of Peru are wonderful. Machu Picchu and Easter Island in the same trip would certainly make a dent in my travel bucket list. What a great experience for your parents. It’s good that you had the influence of such a rich culture as the backdrop of your home. If you ever get the chance to go, take it. It really is an amazing place. What a wonderful holiday experience you’ll never forget. Thanks for sharing it with us, pics included! It truly was. My pleasure! That sounds like a once in a lifetime event! I envy you. I would love to see Peru. These posts are all giving me all kinds of ideas. It was a fantastic experience. Turn your ideas into a trip there if you get the chance. Such an amazing place. Wow… how amazing. Would love to visit Peru one day:) loved your photos. Wow, that really was the trip of a lifetime! What an incredible experience! I’d love to go to Machu Picchu. It really is as amazing as advertised. Peru seems like a total fantasy. Must get there some day! If you do, you’ll never regret it. What an amazing trip! These sorts of places are only savored from afar by me. You’ll never catch me traveling anywhere that requires getting there by plane or boat. lol It’s nice meeting you today! We had more than my share of plane rides, but it was so worth it. That would be a fascinating place to visit! It was. Best trip ever!